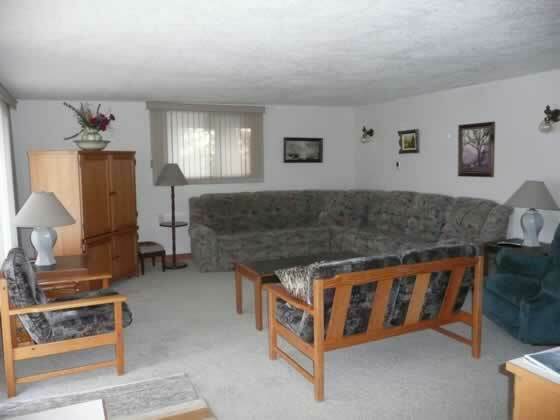 You enter the livingroom via the entrance, the kitchen or the deck. Here's the perfect place to snuggle at the end of a busy Okanagan summer day. Plenty of room to stretch out on the couch, watch a movie, play a game, read a book, or indulge in quiet conversation while you soak in the waterfront view. 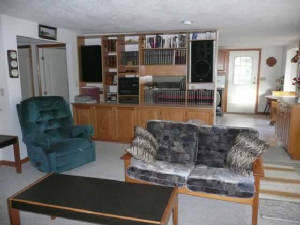 There is also an Entertainment Center with an AM/FM stereo, audio cassette player, CD player plus many games and books.